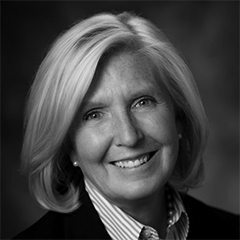 Neal brings more than 25 years of experience in commercial real estate to her position as Vice President of Acquisitions for KC Venture Group. The private equity investment firm, based in Kansas City is actively acquiring multifamily communities throughout Texas and the Midwest region. In the last year the firm has purchased 886 newly constructed apartments in Houston Metro. Accounting for an investment of over $145.3 Million, she is focus on acquiring additional newly constructed apartments, as well as, value-add multifamily investment opportunities. The company manages all their investments through an affiliated firm called Nolan Real Estate Services. The company’s largest portfolio is located in Houston with 13 properties. Prior to joining KC Venture group, Neal was a Regional Vice President for a national management/investment company based in Texas. She was responsible for the performance of multi-family operations in Texas, Arizona, Colorado, Michigan, and California and for the expansion of both commercial office operations and multi-family operations in Arizona, Nevada, Colorado, and Texas. She oversaw an investment portfolio of over 10,000 apartments. Before 2010, Neal was Senior Vice President of a privately held national real estate investment/management company with a $750 million portfolio and $40 million in annual revenues. During her 17 years with this Michigan based company she was instrumental in the purchase of over $600 million in real estate assets, which were owned and managed by 35 different LLC/partnerships across 14 states from Florida to Nevada. In addition, she was actively involved in the management of the assets in these LLC/partnerships. These assets included multi-family apartment communities, office buildings, and retail properties. Her principal responsibilities were the development and execution of multi-year business plans to maximize the long term portfolio value appreciation. Neal holds a Master’s Degree from the UCLA School of Architecture and Urban Planning; she holds a real estate salesman license in Nevada, and is a Certified Property Manager (CPM). In addition, she is the Chairman of Regents of the non-profit George Washington Foundation in Virginia which owns and manages Ferry Farm, the boyhood home of President George Washington.